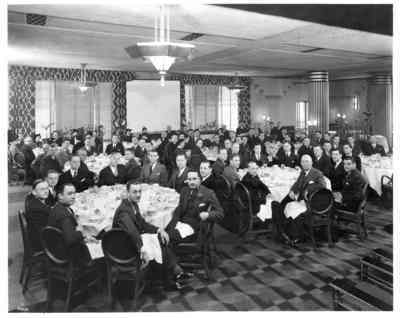 This is a faculty luncheon in 1937. Note the predominantly male composition of the faculty with a few women identifiable in some tables. Clicking on any of the 3 "downloads" buttons on the right will give you the various options to examine the picture in detail. An article in Information Edge - the university library newsletter featuring the history of women at Pace.